Tafmer, positioned as one of the Group�s five world-leading businesses, is a flexible, lightweight elastomer with wide applications in automotive, industrial, and packaging material industries as an enhancer to improve characteristics of thermoplastic resins or as a base material in flexible products. Demand for Tafmer is forecasted to grow around the world and especially in Asia in line with economic growth and industrial advances and it for this reason Mitsui is expanding the capacity. Meanwhile, Mitsui Chemicals announced structural reform of its petrochemical operations to �flexibly and effectively� manage the Chiba Chemicals Manufacturing or Prime Polymer, a partnership formed with Idemitsu Kosan. Construction of new large-scale petrochemical facilities in the Middle East and China and increased reliance on shale gas in North America have forced Japan's petrochemical industry to undertake sweeping fundamental reforms to strengthen its competitiveness in the global market. Against this backdrop, Mitsui Chemicals integrated its ethylene operations with those of Idemitsu Kosan in the Chiba area to form the joint venture in April 2010 and established an ethylene centre. Production cutbacks in ethylene, however, are forecasted in line with sluggish domestic demand resulting from an influx of derivatives and decline in exports. To overcome this situation, the joint venture will implement modifications and develop high efficiency at low production runs to flexibly respond to drops in demand for introduction in August 2013. Thus, Prime Polymer will see a shift to high value-added products from generic product areas and thorough rationalisation is underway. As a result of these measures, suspension of two manufacturing units for PP was decided and Prime Polymer increased production of its high value-added polymer, Evolue, from November 2011 (240,000 tonnes to 300,000 tonnes). 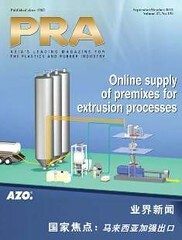 To reinforce structural reform efforts, Prime Polymer recently decided the March 2013 suspension of one HDPE manufacturing unit (production capacity: 130,000 tonnes) in Chiba which directly competes with general purpose products and imports.